Originally broadcast on Wednesday, Jan 30, 2019 3:00 PM (Pacific Time). Next on the Donna Virgilio Radio Show!. January 29, 2019! Celebrating Imbolc and Goddess Brigit. 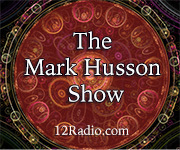 Wednesday at 3:00 p.m. pacific time on 12radio. As the Goddess of fire breathes life within the earth, new growth begins for spring forth from the ground. Learn about Goddess Brigit, Imbolc, and how to celebrate this sacred day. Bring a white candle for a little Imbolc ritual.